When I was first introduced to Sew Lomax a good six months ago, I instantly fell in love with the quirky designs and sense of fun that oozed out of their creations. 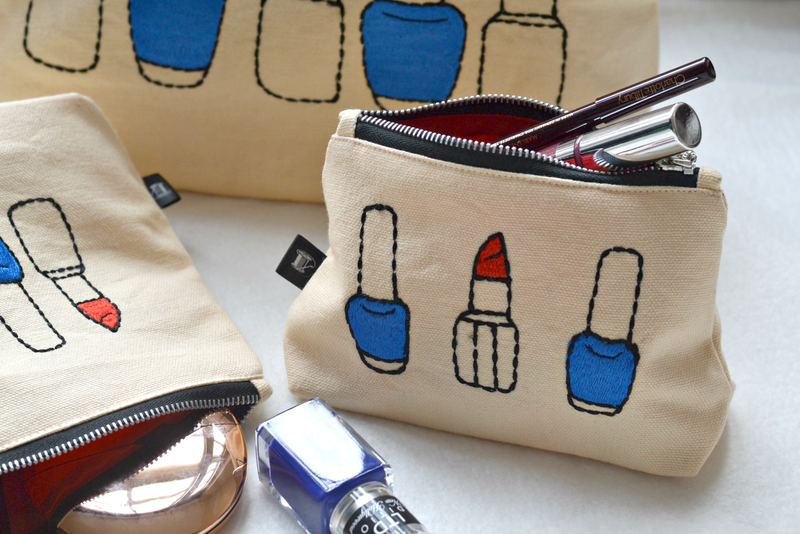 All handmade and lovingly stitched by seamstresses, not mass produced on factory lines, every single makeup bag is unique – making them all the more desirable. I’m so excited to bring you the first look at a collection I’ve been working on for some time, bringing together the expertise of Sew Lomax and the Britishness of LBQ. 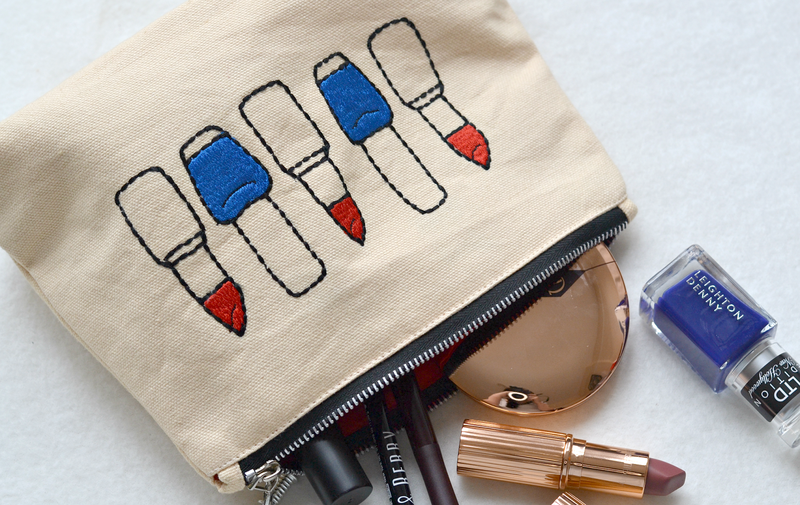 This capsule collection includes a design I absolutely love (representing my love and passion for all things makeup and beauty,) in the colours of the Union Jack that have covered this site from its inception four years ago. Available in three different sizes that suit every need possible, there’s something for everyone and every budget – the little one is only £12.00! 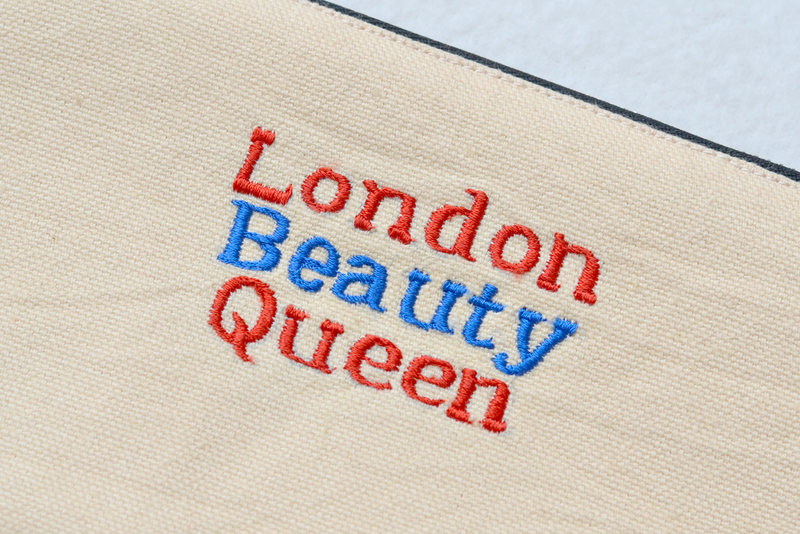 The bags not only feature little lipsticks and bottles of polish on the front, but a London Beauty Queen logo on the reverse so you can support your favourite blogger (ahem!) while out and about. 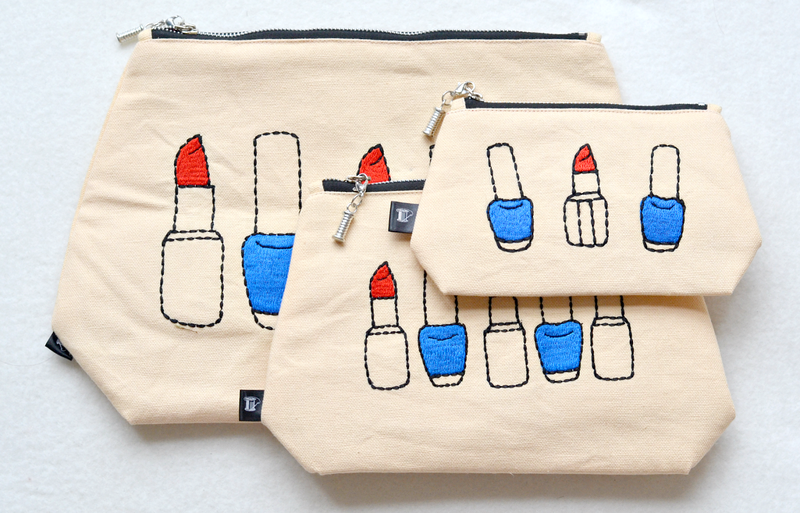 Each bag includes a red interior that’s dark enough to cover any makeup stains, as well as a cute little cotton trinket on the zip – Sew Lomax’s logo. You can fit so much stuff in each of these bags it’s practically a miracle; I’ve been using the little one to carry around everything I need in my bag, while the medium one is perfect for a night away. 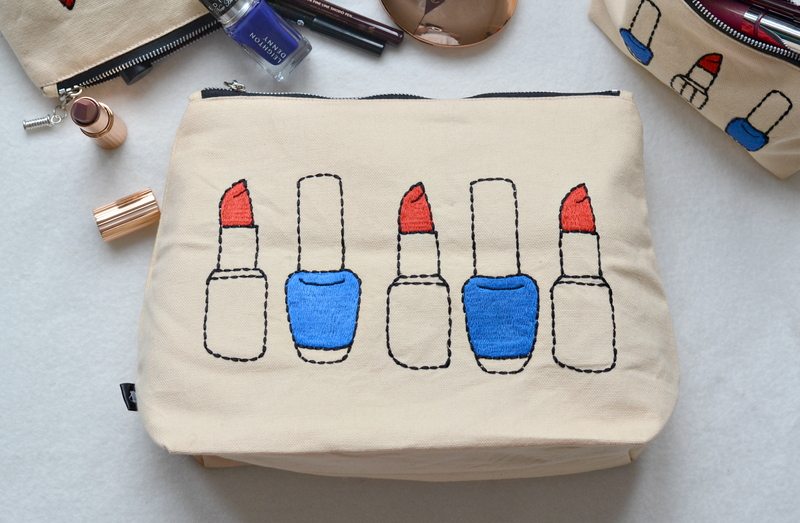 The large bag is more than enough for packing for a holiday or big event, or simply storing all your makeup in one place. UPDATE: We’re now live! You can pick up your own piece of LBQ here. Make sure you tweet me using the hashtag #LBQforSewLomax and let me know when you recieve your bag! They are sooooo cute! I love it that they come in different sizes. These look so nice. They would be really useful. You must be so pleased to have them made. It looks great! You must be so proud!